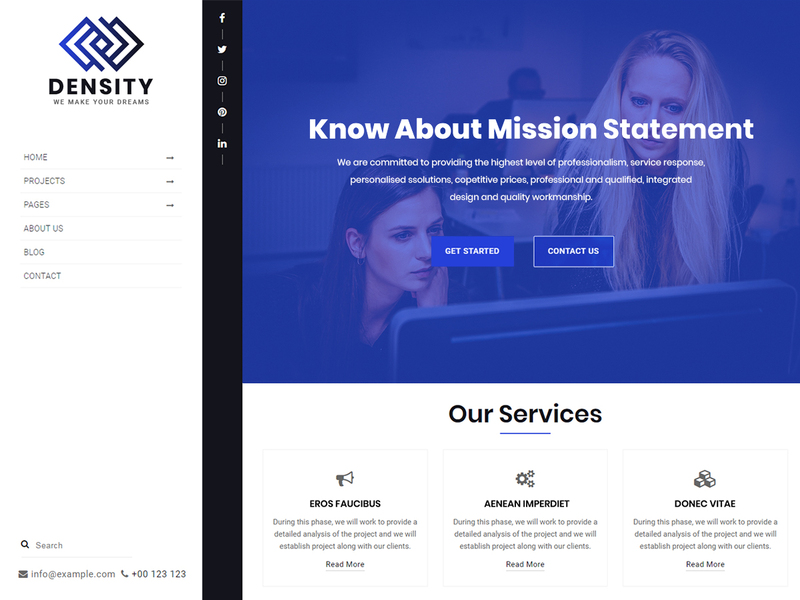 Density is wordpress theme useful for startups business, company, corporate, consultancy. Theme is also tested latest version of WordPress. Theme can be customize in an easy way. We use WordPress customizer for it. Theme have vertical menus these give a unique touch to the theme.